Pardon Our Progress. BasecampSFH Is Hard At Work. The 4 acre property, a former Riddell football helmet factory, had been sitting vacant for decades. We made quick work the existing 90,000 square foot building. An EPA "No Further Action" certification for residential homes is in the works. September 2015: Site Activation Branding. 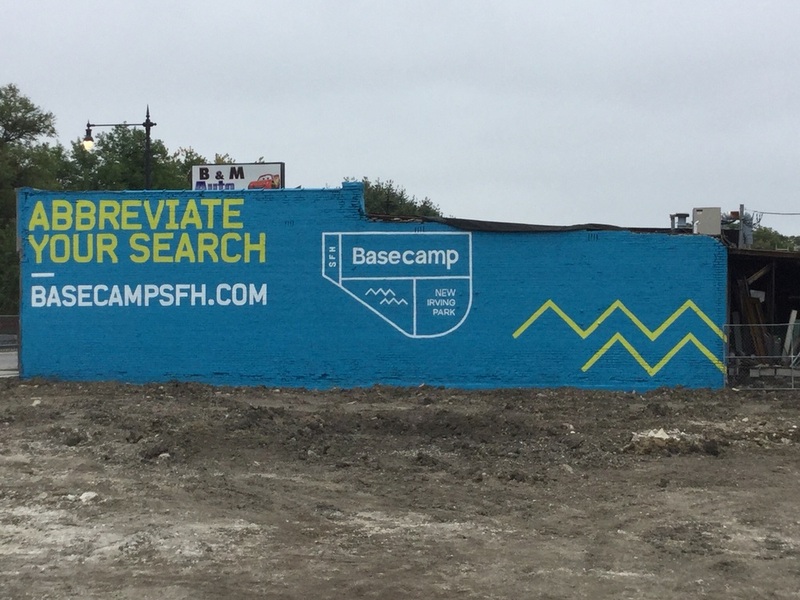 The remaining buildings get a fresh coat of paint to display our exciting BasecampSFH brand. October 2015: Concrete Recycling Commences. Most of the old building's concrete foundations and floor slabs were sifted, crushed and recycled for use as stone backfill under the streets and homes. December 2015: First Foundations, Lots 1-5. Our first homes deliver in April/May 2016. January 2016: Commenced Foundations For Lots 43-47. Excited to offer new single family homes with unique private driveways. March 2016: Commenced Foundations For Lots 6-12. 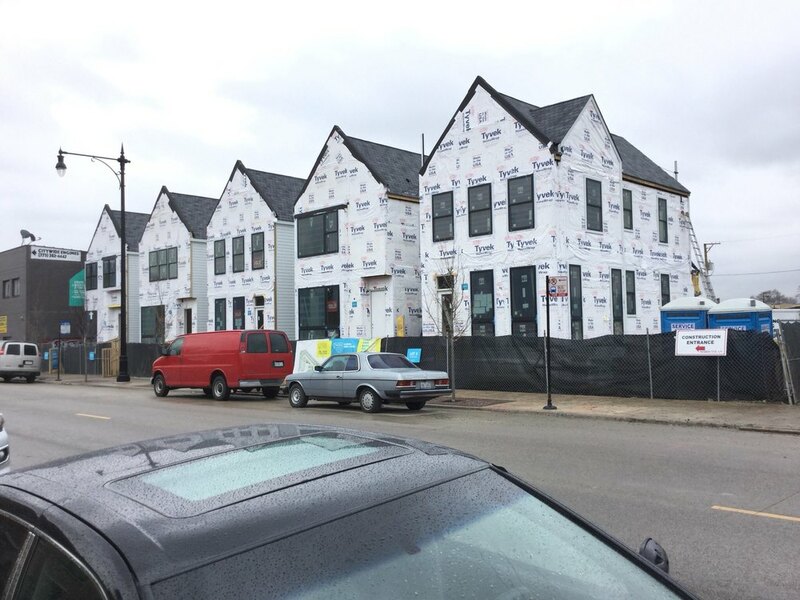 Some of our largest lots and special B homes are now under construction. April 2016: Drywall, Wood Flooring, Cabinetry + Tile For Lots 1-4. They are really starting to come together! May 2016: Furnished Model Complete. June 2016: First Unit Closings. Our new 48 unit community is officially occupied. July 2016: New Street Gets Poured. 1700 linear feet of new tree lined street to serve BasecampSFH residents. September 2016: BasecampSFH almost 40% sold. 6 Units Closed. Buyers can see the potential of this new community and stepping up to sign contracts! CHECK BACK PERIODICALLY FOR MORE CONSTRUCTION UPDATES. OR, CONTACT US TODAY TO SCHEDULE A PRIVATE TOUR. Copyright © 2017 Ranquist Development Group. All rights reserved.